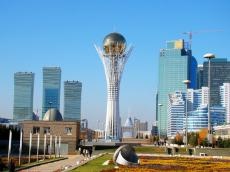 In accordance with the decree by Kazakh President Kassym-Jomart Tokayev, Astana has been renamed as Nur-Sultan city, said the presidential press service, Trend reports via Kazinform. 1. To rename Astana city - the capital of Kazakhstan as Nur-Sultan city - the capital of Kazakhstan.